Whether your seeking for a way to be seen in movies, getting ready to be an action hero or just hoping for a body that says "action" join me as I take you one step closer to these goals. Sebastian MacLean is a Canadian based actor / producer. In addition to acting in a variety of diverse film roles, he has produced an internationally televised documentary film Facing Goliath and a health related TV series Body Quest. Currently, he is working on development of action drama projects in both TV and film. 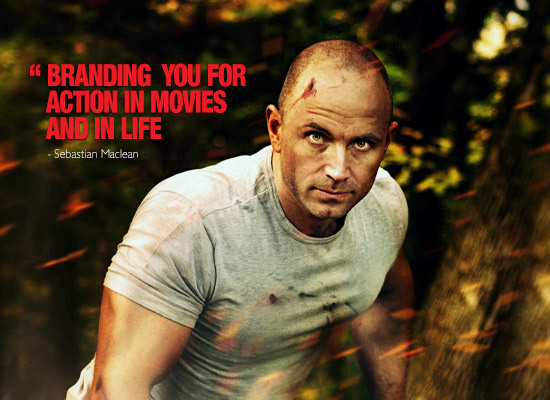 Sebastian has worked in the film and TV business for over 17 years, in over 35 projects. His first taste of the performing arts was through stage performances introduced to him by his mother, Anne Hyde, a former professional european ballet dancer. His family moved from the city of Toronto to a rural area of New Brunswick, Canada it seemed unlikely that he would follow the acting path he aspired to. It was Sebastian's father Mike MacLean, a former gymnast and water ski instructor, that first inspired his 7 year old son to forge a physique through exercise and by age 11 Sebastian began noticing actors like Arnold Schwarzenegger and Sylvester Stallone inspired by the men of action on screen helped him see a way to combine his interest in the performing arts with the hurdles of rural life. He decided to craft a physique like his action movie heroes. Thus, Sebastian went on to be one of the youngest competitive bodybuilders in his province, winning the provincial title, the Jr. Atlantic Canadian title, and eventually placing top 10 in Canada. He later published a number of training methods in international physique magazines and completed two books on physique conditioning, Naturally Massive and The Fat Burn Truth. Never the less, Sebastian found himself performing on stage all through his school years and later was coached by respected performing arts educator Ikay Silk, at Saint Thomas University. Starting in the early 90's Sebastian began studying under a number of other respected acting coaches and acting in a number of independent films, with industry talents, such as William Hurt, Juliet Lewis, Megan Follows, and many others. 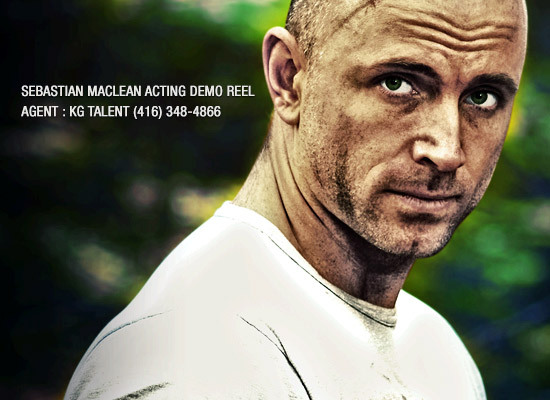 Now living back in Toronto, Sebastian has been seen in such TV shows such as Nikita, Suits and Lost Girl and is prepping for roles in a slate of indie projects. 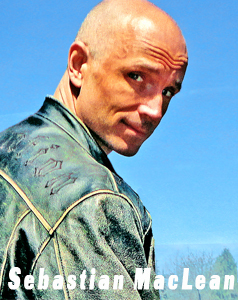 As a producer, Sebastian leveraged his reputation as a past national bodybuilding champion to make the Sebastian also took on the role of directing the New Brunswick provincial Tidal Wave Film Festival, for its most successful period to date. Prior to moving, from the east coast to the city of Toronto, Sebastian launched a video production company that provided a specialized focus on brand based web marketing strategies for video content. 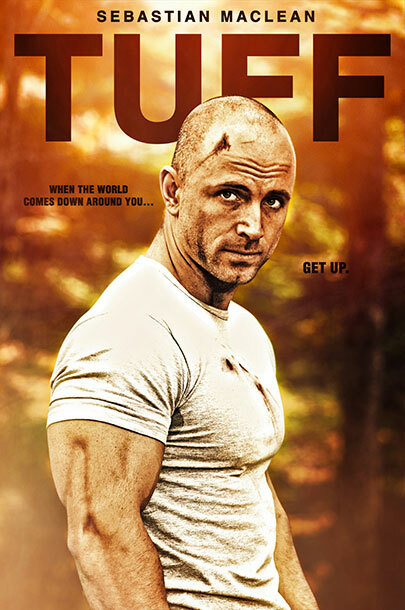 Now having relocated to his birth place in Toronto, Sebastian has refocused his efforts for feature film developments and is currently developing a feature film called Tuff. He also has a slate of projects in development with outside partners. Naturally Massive is the very method Sebastian used to rapidly build muscles naturally. Steroids are used more and more these days, but quick natural muscle development is possible. If you need to build a muscular body naturally, this is the program for you. Looking to get a pile of information about how to actually make a movie the way they teach you in film school? If trying to decide on the massive costs of some film schools then you may want to see what these guys have to say first. Affordable option for getting your initial scripts written in the correct format.For just a few bucks this system turns your MS Word system into a script writing program and correctly formats your work. Developed by Sebastian Maclean for trimming down body fat. If you are looking to streamline your body, this is the system that will do it. It works fast and it does the job right. 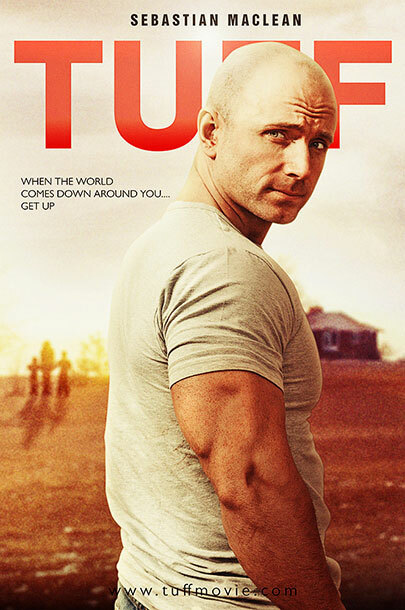 Soldier Tuffton Shepherd (Tuff), returns from Afghanistan, to his wife and kids in a new rural town. Clashing with the local school principal over who gets final say on his son’s education, an escalating conflict leads to Tuff’s arrest and his kid’s removal from their home. 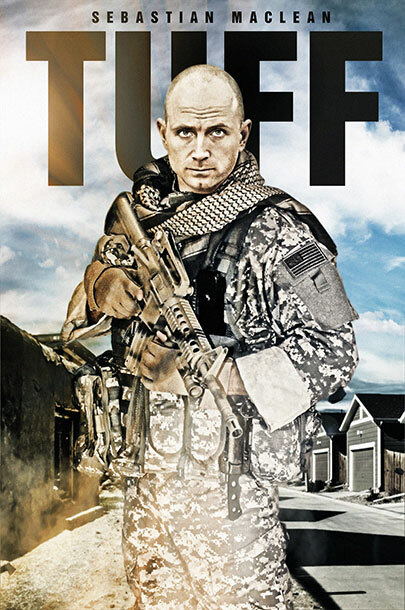 Feeling out of options, Tuff escapes to retrieve his family, making him the target of a manhunt. Copyright 2013 www.sebastianmaclean.com All rights reserved.